Westinghouse LED Night Light With USB 2 Pack Just $14.99! Down From $65! Ships FREE! 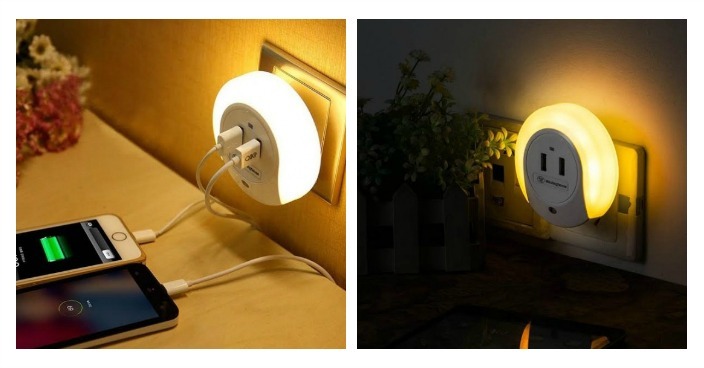 You are here: Home / Great Deals / Westinghouse LED Night Light With USB 2 Pack Just $14.99! Down From $65! Ships FREE! GearXS has this Westinghouse LED Night Light With USB 2 Pack on sale for $14.99 (Reg. $65) + FREE shipping! The Westinghouse LED Night Light is a great combination of a hub and a night light! This multi-functional gadget is convenient with charging USB devices as well as giving off a warm, powerful light.